Tis the Season! The hustle and bustle of the season is now in full swing. The celebrations have begun, the decorations are in place, arrangements for the perfect gift completed while the "big day" menu is rechecked for the last minute preparations. While preparing there were many holiday memories dancing in my head. These memories ranged from childhood to as recent as last year. I am still amazed at the memory of my childhood Christmas's and my parents preparations for Christmas morning. My brother and I would go to sleep on the evening of Dec 24th with the home looking as it always did, nothing special. We would wake up so early the next morning so excited to see if we were naughty or nice! My mom would gather the two of us up and have us wait in the hall, as my dad was getting his camera ready for the big moment. Finally we were allowed to enter the living room to which the wonderment of the season was revealed. The living room was decorated and in the corner was the biggest tree ever seen by a small child. The tree decorated with the lights to reveal presents under the tree. I guess my brother and I had been "nice" all year! This unveiling of the holiday celebration lasted for many years. As an adult, I can't even imagine how exhausted my parents must have been yet they never showed it. To think that in a few short hours the two of them transformed our normal home into a holiday extravaganza. I've often wondered where in the world they hid the tree and when did all the wrapping and hiding of the presents take place. A memory that brings back warmth, love and the appreciation for their giving us memories that have lasted throughout time. 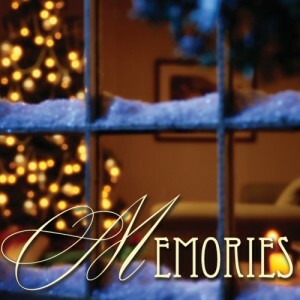 This season, each action, thought, activity and interaction with others is creating a memory for later recall. Though the season can be a vast array of emotions and yes, at times stressful. It is this time of year that has all the possibilities of creating the most cherished moments that may last a lifetime. Time for me now to suggest some ideas in making some beautiful memories that may have additional positive impact for entering 2013. ~ Perfection be gone- yes each of us want a perfect setting, dinner, event but sometimes it is in the imperfections that the best memories can be made. Remember, only you will know if it's not perfect. Though each day is an opportunity for each of us, there is something magical about this time of year. A time when the seemly impossible becomes possible with the opportunity to open or to soften our hearts, either for ourselves or toward others. My wish for each of you is to enjoy this season and be open to all the possibilities that you so deserve. May you enjoy all that you have planned and also all that may be unexpected as that may be where the best memories are found.